As behooves something so deeply entrenched in culture, the historical origins of the use of methylxanthines are unknown and dressed in myth. This is true for coffee as well as tea, and for both it is interesting to note that their common use is really very recent. For coffee we know that its use became more widespread in the fifteenth and sixteenth centuries, and in Europe this occurred in the eighteenth and nineteenth centuries. The use of tea became more common during the Ming Dynasty in China and during the eighteenth century in Britain. Coffee was mostly an upper-class drink in Arabia, and remained a relative luxury in Europe until quite recently. 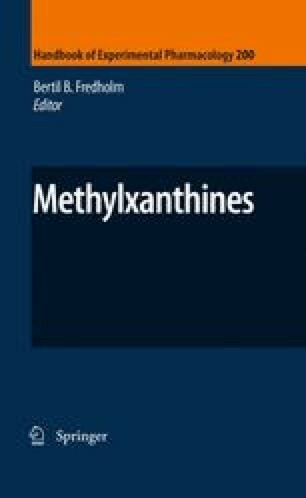 The use of other methylxanthine-containing beverages, such as maté, is even less well known. It is interesting to note that before these drinks were commonly used on a daily basis they were used for medicinal purposes, indicating that their pharmacological actions had long been noted.